"Even the least tech-savvy of moms will find it easy to check the weather." "These promise to leave your skin looking fresh and renewed." "It’s easy to use and kicks out some amazing, healthy cuisine." "Would work great on her desk or as a centerpiece in the dining room." "Whatever she uses it for it will become her new favorite." "A fun way to keep in touch and give them a peek at...loved ones." "It’s great for...when she wants something that stands out a bit more." "You can choose from a six, 12 or 24-month subscription." "It makes opening her favorite bottle quick, easy, and entertaining." "Sleek, simple and stylish, this gold bar necklace will set the bar high." "Makes it fun and easy to make sure you’re getting enough fluids." "It’s beautiful, practical, and a great value for the price." Your mother-in-law might not think she needs a voice-enabled assistant but once she (or you) sets up the Alexa-enabled Echo Dot, she won't know how she lived without it. Even the least tech-savvy of moms will find it easy to check the weather, listen to their favorite music (radio included), ask it questions like "who was that actor in that movie", and much, much more. If she really digs this system you can continue to add on other smart-enabled devices that she can sync together like her television, light bulbs, doorbell, and so much more. Spa-loving women will appreciate this pampering pack of serum-infused face masks from Avatara. There are three sheet masks in all: Shape Up to improve elasticity, Plump Up to restore skin and Drink Up to rehydrate. No matter your skin type, these promise to leave your skin looking fresh and renewed. Ingredients include natural remedies like ginko, aloe, lemon, ginseng root and Vitamin B. To use, simply wash your face and place the sheet make on, then sits back to relax for 10-15 minutes. To make them even more refreshing, you can put the masks in the refrigerator first for a cooling effect. For those who love to cook, this air fryer makes a hot gift. It allows you to prepare delicious, crispy “fried” food using a tablespoon or less of oil. From chicken to french fries, burgers and beyond, you can cook up a storm of healthy fare with virtually no fat. You can put all the parts in the dishwasher too, so clean up is snap, and it comes with two cookbooks as well. Air fryers are some of the hottest cooking items on the market now, and bonus: You just might get to eat some of the yummy food your MIL cooks up in it as well. Customers rave about this one by Cozyna in particular, saying it’s easy to use and kicks out some amazing, healthy cuisine. The gift of something green is always welcome. 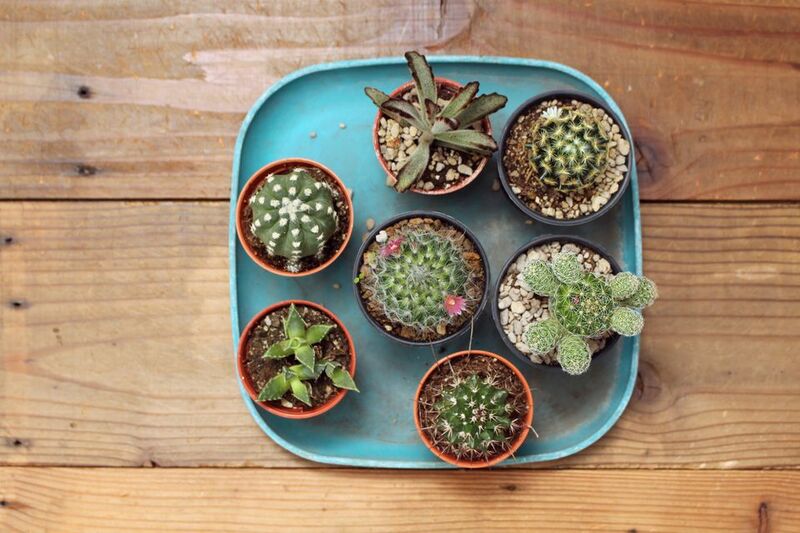 Why not give your mother-in-law on-trend succulents that require little maintenance but add some nature to her abode. This pretty silver hammered planter comes filled with succulents that would work great on her desk or as a centerpiece in the dining room. The care of these succulents couldn't be simpler—all the recipient needs to do is water them when the soil gets very dry, which is about two weeks. They don't need to be placed in sunlight either so they really could work anywhere in the home. Every woman could use a new bag. Why not give your mother-in-law one that is not only practical but also stylish. This quilted number works just as well as a gym bag as it does any everyday tote to take around on her chores. She can fill in with treats for the grandkids or fill it with her yoga clothes, whatever she uses it for it will become her new favorite. The bag is made out of nylon so it is easy to spot clean, plus it folds flat and is lightweight so it makes a great travel bag. This bag can fit a 13" laptop and has a zip top closure as well as a phone pocket to keep everything she needs in order. Mothers-in-law will go gaga for this digital picture frame, especially if they have grandchildren. Not only can they upload their own favorite pics and proudly display the selection as it automatically rotates through them, but relatives and friends can also send pictures to the frame directly via a free app. They never know just what fun new pictures might pop up on a daily basis. It’s a fun way to keep in touch and give them a peek at the day-to-day lives of their children, grandchildren and other loved ones. It can also be connected to any Alexa-enabled device so they can call up various playsets and make other commands with just a few words. This wrap makes a great gift for the fashionable mother-in-law. She can dress it up or down, depending on the occasion and the animal print is on-trend. Unlike some wraps, this one has a toggle closure, so she doesn’t have to worry about it slipping off. It’s great for travel and chilly nights when she wants something that stands out a bit more than a standard jacket. One size fits most, but it might be quite large for anyone who is a petite frame. For women who like nothing better than to curl up with a good book, Kindle Unlimited is a dream come true. It gives them access to more than 1 million books and audio books with just a few simple clicks. You provide the gift subscription, and all they need to do to start reading is to download the free app on their electronic device or Kindle reader. You can choose from a six, 12 or 24-month subscription. Once you purchase one, a notice will be sent to the recipient on the day of your choice along with instructions on how to use it. If you’re going for best daughter-in-law or best son-in-law, this gift just may clinch your position. Your mother-in-law will raise a glass to you for giving her this electric wine opener from Oster. It makes opening her favorite bottle quick, easy and entertaining. With just the touch of a button, wine bottles are uncorked in mere seconds, with no twisting, pulling or broken corks. It also has a foil cutter, so it’s really the only tool you need to open and enjoy a glass of the good stuff. The cordless corkscrew comes with a base where you can store and recharge it, so it’s always ready when you are. Cheers! Best Jewelry: 14k Yellow Gold Polished Bar Chain Necklace, 17"
Sleek, simple and stylish, this gold bar necklace will set the bar high for other gifts. Made of 14k yellow gold, the solid bar hangs from a pretty, dainty chain. It adds a fashionable flair to everyday wear and looks great with dressier outfits too. The quality is high, while the price is surprisingly low. For health-minded mothers-in-law who like to be in on the latest and greatest tech gear, there’s this Hidrate Spark bottle. Staying hydrated is important, especially when you’re active and on the go, and this smart water bottle makes it fun and easy to make sure you’re getting enough fluids. It syncs with your smartphone and tracks just how much water you’re drinking. If you’re not downing quite enough, the bottle emits a gentle glow to remind you to drink more, and it rewards you with more glowing when you meet your goal. It also integrates with a Fitbit, Apple Watch or other activity trackers to adjust the amount you need to drink based on your activity level. It runs on batteries (four CR2 batteries are included), so you don’t have to worry about recharging it (but will need to replace them), and it comes in a variety of colors. For foodies who love to entertain, this bamboo cheese board from Bubusi is sure to be a hit. It goes beyond a basic board, with plenty of space up top for a variety of cheeses and charcuterie, and grooves along the sides are perfect for holding crackers, olives and other accompaniments. Below is a sliding drawer that holds four pretty knives, perfect for cutting and serving the cheeses. Two slates and chalk are included as well to let guests know what lovely things you’re serving. Made of 100 percent bamboo, the board is solid and sturdy won’t absorb odors. Customers love it and say it’s beautiful, practical and a great value for the price.